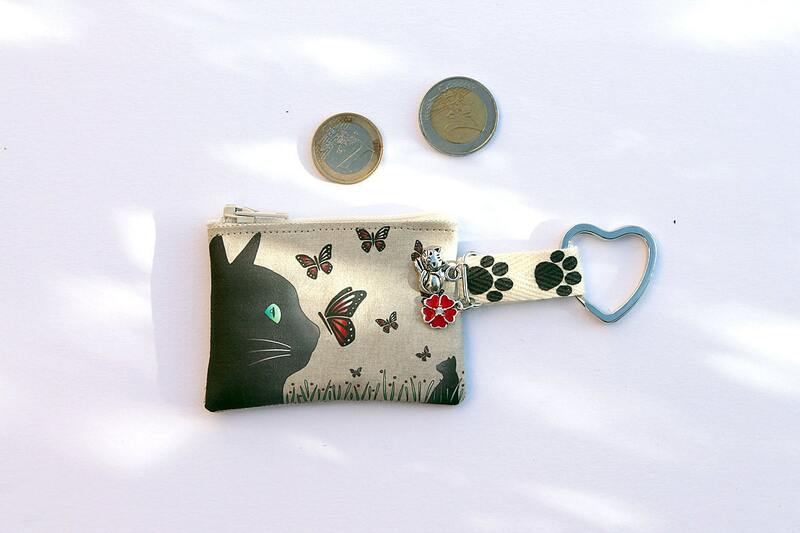 Keyring / mini wallet in illustrious lin "cat and butterflies"
Key composed of a ring heart shaped ring to hang keys, door mini currency (size 6 x 8 cm) with original illustration printed on the front and back in natural linen and two charms, cat and flower in aged silver metal. The illustration shows a black cat and a flight of butterflies. 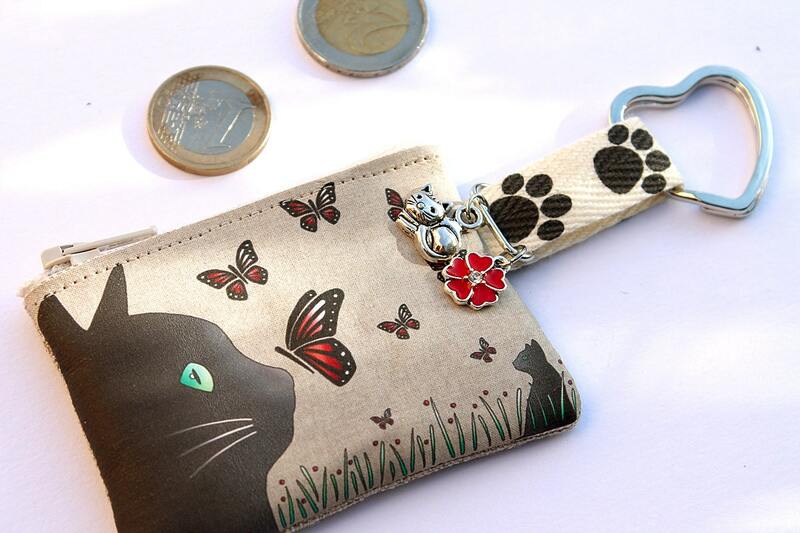 It is printed on linen by heat transfer system. Travail soigné. Pratique. À offrir ou à s'offrir !